In the Training category, Legacy Healthcare Services in Raleigh, NC, won a Silver Award for using digital badges. Leaders and managers within Legacy Healthcare Services can use their digital badge to demonstrate knowledge about clinical programming, and staff may choose to earn digital badges as they develop a specific skill set early in their career. Badge viewers can click on the icon to determine the badge title, badge issue, the badge earner’s skill set, as well as the requirements to earn the badge. 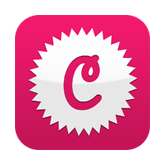 Their award winning digital badge program is fueled by Credly’s Acclaim platform.